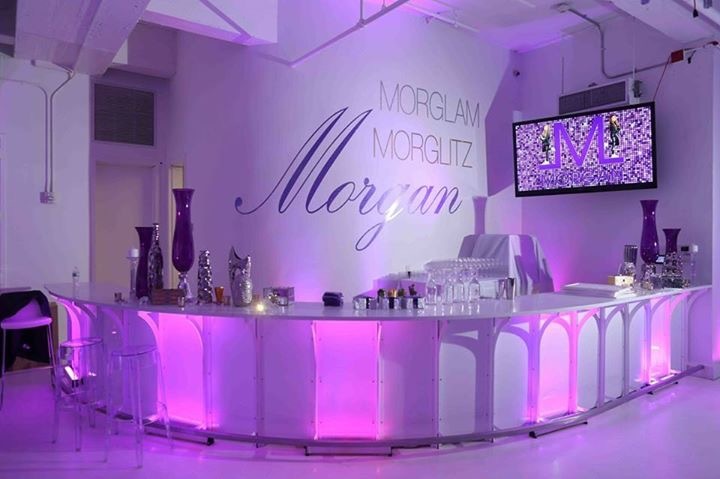 Have you ever wanted to completely customize the look and mood of your special event? Most wall wraps and murals are digitally printed on vinyl with a protective overlaminate to both protect the print and give the desired finish (gloss, luster, or matte). Vinyl wall graphics and decals are easier and cleaner than paint but have the same look and feel. Apply decals like a sticker and remove them by using your finger or tweezers to peel old graphics off. There’s no mess and minimal prep. Options for vinyl wall graphics include digitally printed and textured printed wallpaper. The possibilities for wall wrap design are endless and are only limited by your imagination. Whether a design is imposed over a dramatic backdrop or a bold wall graphic, it will grab the attention of your party guests. Although wall graphics have become popular in indoor venues, wall graphics can be used for outdoor venues too. Vinyl Wall Art is created to enhance the decorations for your special occasion. All our decals are made of high-quality sign vinyl and can be used indoors and outdoors. The outdoor signs are durable and can withstand inclement weather conditions. As with all of our wall decals and graphics, they can feature a custom design of your choice and it can be applied to nearly any surface type. Decorating your event with wall stickers is a great alternative to hanging wallpaper. Stickers do not damage the wall and are easy to adhere and remove. Our quality wall graphics are made out of strong materials and are spill resistant, so they won’t stain. All you have to do is simply peel the sticker off and attach it to the surface you want. Yes, wall stickers are that easy to attach. When the time comes to remove a wall sticker, it’s simple to do and does not require removers, and excess trash. Traditional wallpaper can leave residue and damage the walls it was adhered to. All you have to do with our wall decals is to take a hairdryer over the wall decal, and then peel it off. There’s no paint, paste or residue left behind, so the walls aren’t damaged during the removal process. That will help you receive your full venue deposit back after your special event. If you are looking to order vinyl wall graphics and decals to accent your event’s decoration, have Bombshell Graphics create it for you. We take your design ideas and bring them to life. Our design team will be able to create custom vinyl wall graphics, decals, and wraps that are perfect for your event. We offer wall decals and vinyl wall graphics in Boston, New Jersey, Connecticut, Delaware, Hartford, Long Island, Massachusetts, New York, Pennsylvania, Philadelphia, Rhode Island, Virginia, Washington DC, Westchester, and nearby areas. To place a design order for your special occasion, give us a call at 862-210-8408 or fill out our form here.